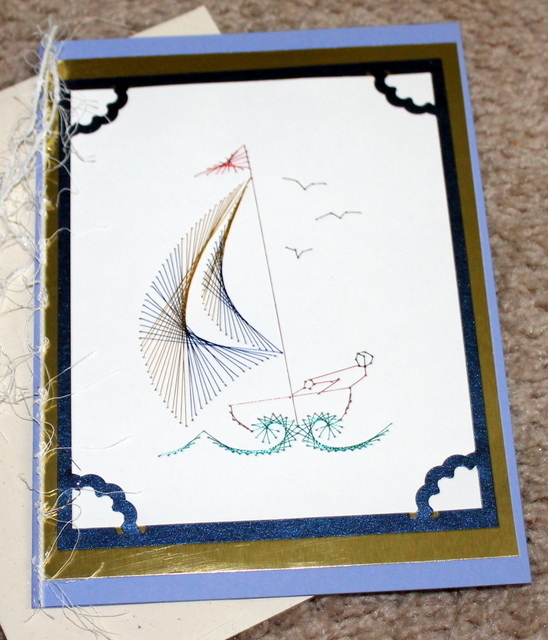 This card has been handmade by first piercing the holes and then using metallic and or matte threads, stitched to create the design. This technique is called Dutch Embroidery on paper. This card takes over an hour to complete but the end result is very rewarding. I love creating this type of card and hope you appreciate the uniqueness. 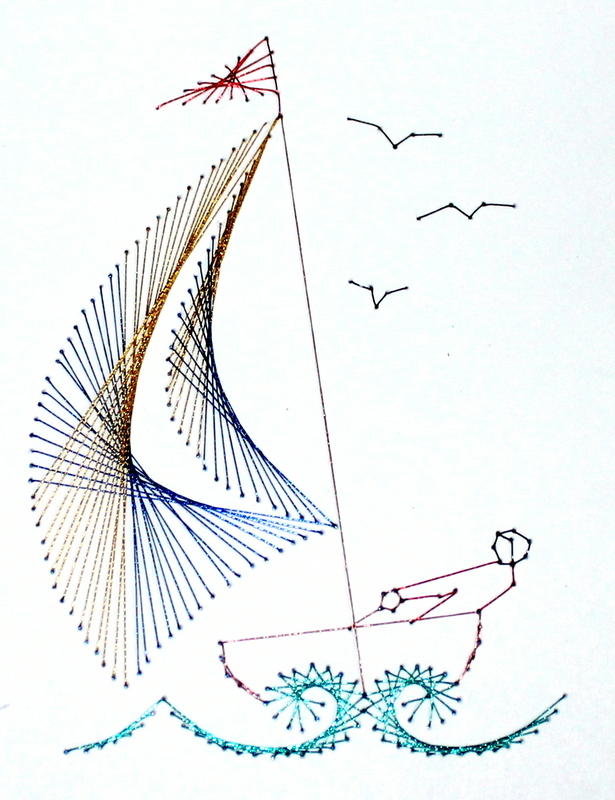 The sailboad is stitched using metallic gold and blue thread on white cardstock then mounted onto gold cardstock, then blue paper for the card. The inside card is blank and each card comes with an envelope. The size is: 7 ¼ x 5 ¼ inches. My cards are made in a smoke free environment.